Waiver is a mobile application that focuses on managing all a car's maintenance by synching drivers with the manufacturer's recommended maintenance schedule (that matrix usually found at the back of the owner's manual), and when parts and services are due, automatically notifying vendors within a proximity specified by the user (so, say within 20 miles of home or work, for example). Shops quote what they'd charge for those parts and services, and that information is sent back to you for you to consider. "Swipe" between shops - pick who you want to complete the work - and if you can't commit, Waiver can remind you. Bids are good for 48 hours. Owners need only enter their car's make, model, year, mileage, zip code and VIN, as well as account for any maintenance they've completed (items due up to that mileage will populate - simply "uncheck" what's complete, and Waiver will send for bids for the rest). See the "How it Works" video here. Drive. When miles driven equals mileage of a maintenance interval on the manufacturer's recommended schedule (at 25,000 miles, for example), Waiver identifies all parts and service providers within a proximity specified by the user (so, say "within 20 miles of home" or "25 miles of current location," for example), supplies them with the parts & services due, and they bid on that work. Waiver then returns that pricing (along with contact info., location, website, hours, etc.) to the driver for consideration. The information presents in a sequence-format, allowing users to "swipe" between shops (so to provide a kind of "side-by-side" cost comparison for the consumer). Owners can see what parts and services are recommended by the manufacturer, as well as what each would cost to complete by the vendors, and they can either pick a vendor or let the bids expire. Once a bid is accepted, Waiver will assume those items to be complete and update the maintenance schedule accordingly (those items will be "checked off" the list). Let the bids expire, and Waiver will remind the driver to complete those items according to the reminder settings (so, every week, for example). Cross the next mileage interval, and Waiver assumes they’re complete. Yes the technology syncs with your phone and computer, so regardless of your location, drivers will always have access to the information. What's Recorded, & Is it Accessible? For each driver who creates an account, Waiver records the make, model, year, trim, current mileage, and VIN for each car enrolled, and contact information, or drivers’ email address and/or phone number (depending on how drivers choose to be notified). From there, Waiver records maintenance items for which bids are accepted as completed, and this results in a kind of "record of maintenance performed" for each car. 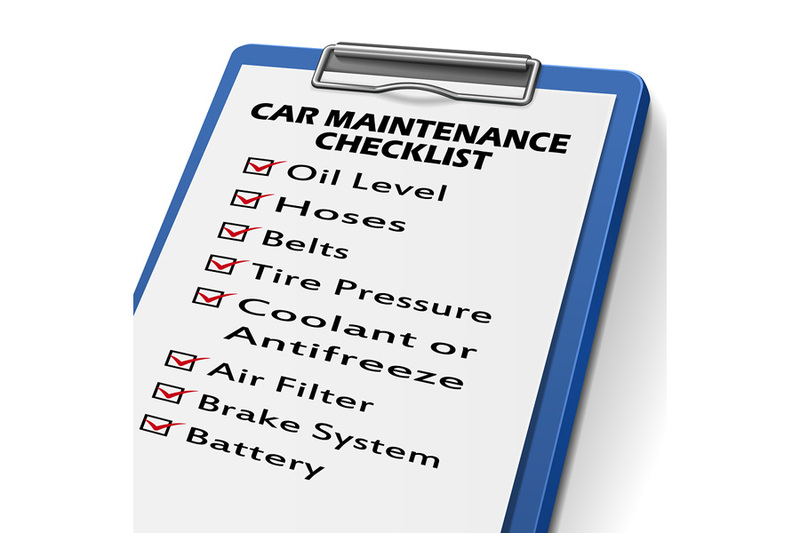 That can be valuable when it comes time to resell the vehicle (in terms of maximizing the resale value), by introducing the opportunity for drivers to show that recommended maintenance was completed according to the manufacturer’s recommended maintenance schedule. Email servicerecord@waiver.today to access such. Stay in the drivers seat! Click here to enroll today.